Can the US and China end their trade war? 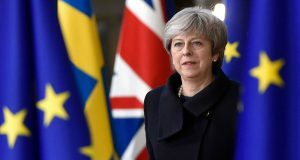 The referendum on Britain and Northern Ireland’s membership of the EU is set to be an important political event that will shape political developments in Britain, Ireland and across Europe in the years to come. Socialists want to see a Europe that is run in the interests of the millions not the millionaires. The EU project constitutes the polar opposite to this. 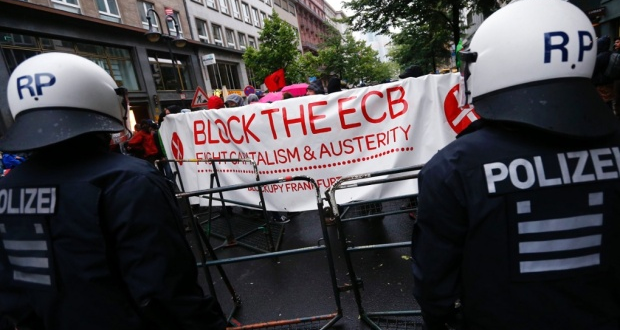 It was a central part of the “Trioka” which imposed austerity on the working class of Europe. 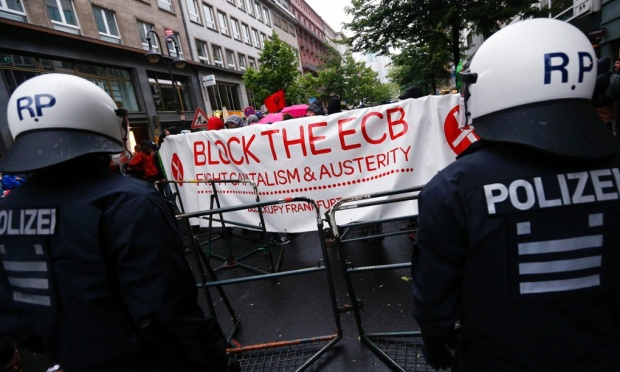 It imposed technocratic governments of bankers on the people of Greece and Italy and acted to corral SYRIZA when it was elected by the people of Greece to end the nightmare of austerity. The EU has institutionalised neo-liberal policies in various treaties including the Lisbon Treaty and Stability Treaty and through international free trade agreements. This includes TTIP, which will allow governments to be sued by multinationals, when their profits are threatened. If people in Britain where to elect a Jeremy Corbyn led Labour government, such government would have to break a series of EU directives in order to implement Corbyn’s popular policies such as public ownership of the rails or reversing the Tories’ privatisation of the NHS. Some people believe that the EU will protect workers from the worst excesses of Tories. 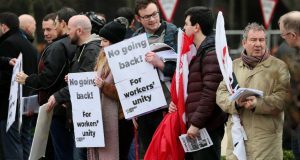 The reality is different, EU directives have undermined workers’ rights and collective bargaining rights and encouraged a race to the bottom in terms of wages and conditions. Many also believe the EU is a guarantor of human right however its “Fortress Europe” racist immigration policies which have resulted in the deaths of tens of thousands of refugees fleeing war shows that to be a sick lie. Despite protests across Europe demanding a humanitarian approach to the refugees, the EU has acted to reinforce its borders, including with a dirty deal with the reactionary Turkish government. Some will agree with these points regarding the EU but believe it is better to stay in and fight to change it. However there is no democratic mechanism in order to win these reforms. The central decision making is largely in the hands of the European Council and increasingly the unelected European Commission. The European Parliament is little more than a rubber stamp without the ability to initiate legislation. This makes it easier for big business to push its agenda free from pressure that can be put on national governments by protest movements. The only reforms we are seeing from the EU are right-wing counter-reforms. This is what Cameron’s negotiation were really about, including pushing for more right wing “opt outs’ for the UK government. The EU debate has opened up serious splits in the Tories with prominent Tories including Boris Johnson positioning themselves for a leadership challenge if Cameron fails to win this referendum. Like in the recent Scottish Independence referendum the approach of the establishment is to unleash “project fear.” An aspect of this in Northern Ireland is claims that it will undermine the peace process. This has been the argued by Peter Mandelson, Enda Kenny and Martin McGuiness but it is simply not a credible argument. A ‘Brexit’ will not mean a “hard border” between the North and the South nor does leaving the EU automatically mean the scrapping of the Human Rights Act. The truth is the “peace process” is based on sectarian division and it is this division that leaves open the road to sectarian conflict. Working class people have historically mobilised to ensure this doesn’t happened. While sectarian politicians have acted to sectarianise political debates – including this referendum, this includes using this debate to push for a border poll which would act to be a sectarian headcount and possibly lead to sectarian conflict.